Welcome to RSL Auto Sales, Inc.
RSL Auto Sales, located in Keymar, MD, near Frederick, is convenient to Baltimore, Washington, Gettysburg and Leesburg. 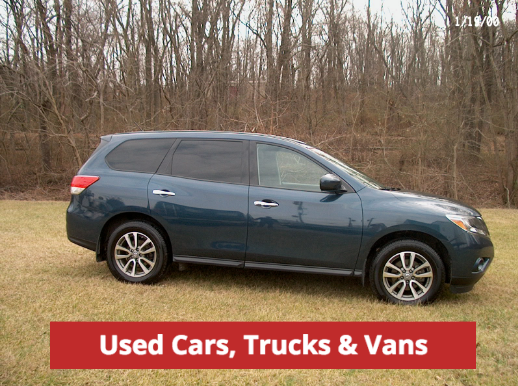 For over 10 years we have been matching customers from Maryland, Virginia, West Virginia and Pennsylvania with the perfect used car, truck or van. All vehicles are Maryland State Inspected. Check out our inventory, and please call Ron Laneve at 301.845.4188 with any questions. RSL Auto Sales offers a variety of Used Wheelchair Vans and Handicap Accessible Vehicles for sale. In addition, we can customize your vehicle to install products such as wheelchair lifts, wheelchair ramps, turny seats, hand controls, left-foot accelerators, and wheelchair restraints. For more information on any vehicle or to discuss your particular need for a mobility solution, please call Ron at 301.845.4188. Located in Keymar, MD near Frederick, MD, RSL Auto Sales is convenient to surrounding areas in MD, PA, VA and WV, including: Montgomery County, Howard County, Baltimore County, Southern PA, Loudoun County, VA, and the Eastern Panhandle of WV. If you don’t find a vehicle in our current inventory that suits your needs, please call Ron Laneve at 301.845.1234 – he will find the right vehicle at the right price for you. 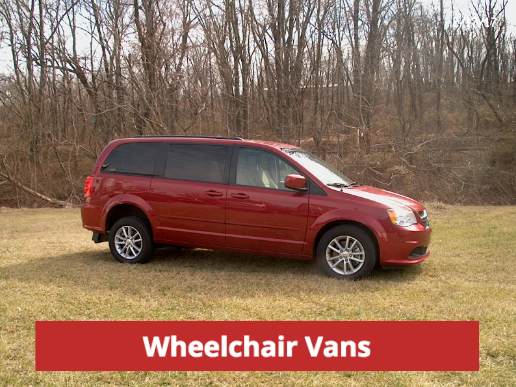 Browse through our selection of handicapped accessible vans, wheelchair vans, and preowned vehicles. Wheelchair lifts and ramps make loading and unloading of wheelchairs and scooters much easier. Hand controls allow drivers with limited dexterity, motion, and/or tensor control to drive a vehicle. Wheelchair Restraints secure wheelchairs in place within your vehicle. Note: They DO NOT replace seatbelts! Mobility and companion seats make it easier for people who have difficulty getting into and out of vehicles.